BOK Financial Corp. and CoBiz Financial Inc. early today announced the signing of a definitive merger agreement under which CoBiz will merge with BOK Financial in a transaction valued at approximately $1 billion. Approximately 75 percent of the consideration will be in stock, with the rest in cash. Based on the closing price of BOK Financial’s common shares on June 15, 2018, common shareholders of CoBiz will receive $977 million of total consideration, consisting of 0.17 shares of BOK Financial common stock and $5.70 in cash for each share of CoBiz common stock. The merger consideration is valued at $23.02 per share, based on the closing price of BOK Financial on June 15, 2018. CoBiz is headquartered in Denver, with approximately $3.8 billion in assets and a strong history of revenue and earnings growth since 1994. 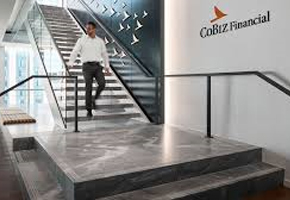 CoBiz is a commercially-focused bank, with presence in Colorado and Arizona, specialty lending lines of business including healthcare and public finance, and fee-generating businesses including wealth management and commercial insurance. CoBiz Chairman and CEO Steve Bangert will join the BOK Financial Board of Directors after the close of the transaction. “The merger drives an internal rate of return in excess of 20 percent, is materially accretive to earnings per share, enhances our return on equity and return on assets, and provides further geographic diversity for both banks’ loan and deposit portfolio. In addition, the issuance of over 7 million shares as consideration for CoBiz shareholders should provide additional trading liquidity in BOK Financial common stock,” said Bradshaw. Steven Bangert, chairman and chief executive officer of CoBiz Financial, added, “CoBiz is joining forces with one of the most respected regional banks in the country. “This merger will allow us to better serve our markets and provide customers with a more robust product offering, higher lending limits and a banking franchise that spans the lower Midwest and Southwest. BOK Financial enjoys an outstanding reputation as a supporter of the communities it serves, and we’re so pleased to join forces with a company that shares a similar approach to how we serve our customers, our employees and our communities,” Bangert added. Over the past five years, the BOK Foundation has donated over $3 million to charitable organizations in Colorado and Arizona. The company’s employees based in those states collectively serve in leadership roles for 78 philanthropic organizations. During the same period, CoBiz donated more than $7.6 million to charities in Colorado and Arizona through its employee-led CoBiz Cares Foundation, annual concert fundraiser the Biz Bash, and direct corporate giving. In 2017, CoBiz employees volunteered more than 11,640 hours at 221 nonprofits and community agencies, and 92 employees served a board member capacity for a nonprofit or community agency. In addition, BOK Financial earned an “Outstanding” rating in the most recent examination of its community reinvestment activities by the Office of the Comptroller of the Currency. BOK Financial expects to incur pre-tax merger and integration costs of approximately $60 million and expects to achieve annual cost savings of approximately 40 percent of CoBiz’s non-interest expense. BOK Financial expects this acquisition to be 6 percent accretive to earnings in 2019, and 9 percent accretive to earnings in 2020, the first full year with synergies. The transaction is expected to deliver an IRR of over 20 percent. The transaction is subject to the satisfaction of all customary closing conditions, including regulatory approvals as well as the approval of CoBiz shareholders, and is expected to close in the fourth quarter of 2018. 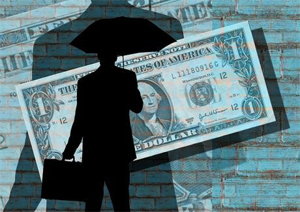 Goldman Sachs served as financial advisor, and Frederic Dorwart, Lawyers PLLC served as legal advisor to BOK Financial. 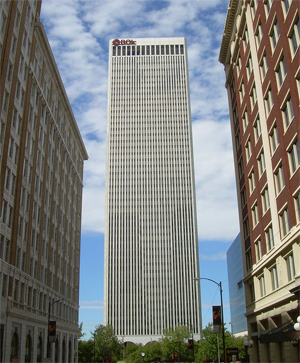 BofA Merrill Lynch served as financial advisor, and Simpson Thacher & Bartlett served as legal advisor to CoBiz. 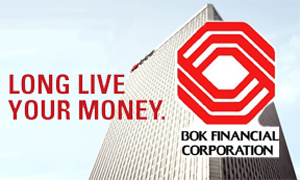 BOK Financial has posted a presentation to its website discussing the transaction. To access the presentation, go to www.bokf.com. This entry was posted in Business, Local on June 18, 2018 by admin.